I started using No7 Lash Adapt back in August and other than the YSL Shocking mascara (which I love, but is a tad dramatic for every day), I’ve used nothing but. 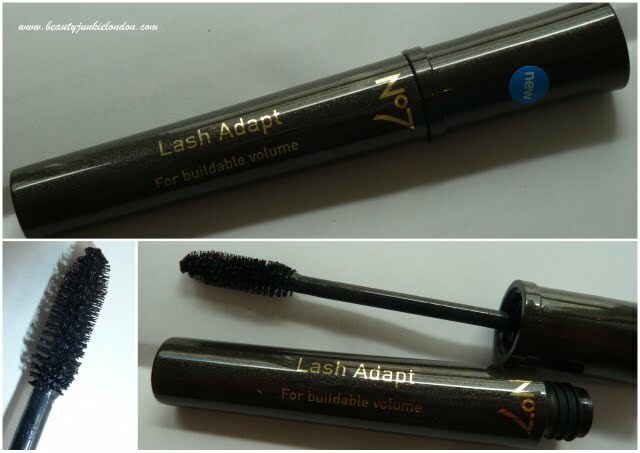 It’s a bit funny choosing Lash Adapt as my mascara of 2011, because it’s really not a flashy, big claim mascara – it’s basic premise is that you can build coat after coat. But that’s why I love it, it’s simple, it works and you can build it so you have natural or dramatic lashes – without the need for vibrating/rotating/brush twisting wands. I love the fluffy brush, it’s big but not huge and the formula just works. I’m on my second tube of this now and love it just as much as when I first used it – it’s going to take some serious mascara skill to take over from this as my favourite I think! If you haven’t tried this, then definitely do – it’s simple, but it really works. Oh nice. I’d love to try this. We have No.7 brand at target. Yes, fluffy wands are great for volume. I have this & I absolutely love it!! I love this too Jen. I know I used to PR No7 but I genuinely loved this product from the start and still do.